Posted on Monday, May 4th, 2015 by UNCG Research. Code like a girl. Sound strange? Not to Naomi Thomas, a UNCG sophomore double majoring in Computer Science and Business Administration. 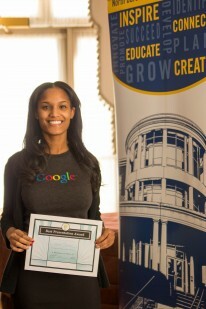 Thomas is working to revolutionize the way girls are represented in technology, a field traditionally dominated by men. Thomas has helmed the widely celebrated Information Technology (IT) is for Girls Summer Camp since 2013. “I’m very passionate about getting youth interested and encouraging them to pursue the technical fields,” says Thomas. She has converted this passion into a living, breathing reality. The five day camp exposes middle-school-aged girls to basic coding and technical skills while blending in visits to technology companies in the Greensboro area. Women at these organizations share stories about their careers and teach campers about working in technology. 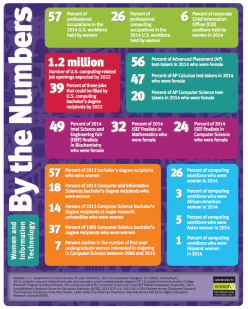 Between 1990 and 2013, low numbers of women in computing declined even further – from 35 percent to 26 percent – according to a study by the American Association of University Women. 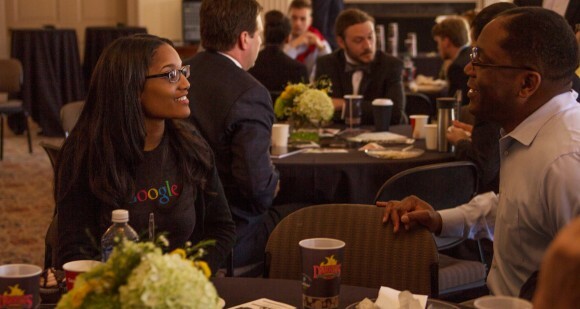 As of 2013, only 17 percent of Google tech roles were occupied by women. Facebook and Twitter came in at 15 and 10 percent, respectively. In high school, Thomas was already swimming against this current, applying for an award from the National Center for Women & Information Technology. She won the North Carolina award and was a national runner-up. Afterwards, she was approached by UNCG’s Dr. Lakshmi Iyer, founder of Women in IT initiatives at UNCG and the Graduate Programs Director of the ISSCM Department, who asked her to help coordinate the IT Is For Girls program. IT Is for Girls is not Thomas’s only accomplishment. She is President of the UNCG STARS Computing Corps, which aims to increase the participation of women, under-represented minorities, and persons with disabilities in computing disciplines. Thomas also owns a web design firm named Mia Marie Designs, which constructs custom websites for clients across the East Coast. Most recently, the sophomore has even began developing a nonprofit project called mytechlife. The program introduces K-12 students to the world of technology and coding in fun and interactive ways over the school year. This concept netted the Best Pitch award at this year’s 2 Minutes To Win It competition at UNCG. The contest features 20 students from the triad pitching their business ideas in less than two minutes to a panel of judges. Article author Kevin Flanagan is a Media and Communication Intern with the UNCG Office of Research and Economic Development. 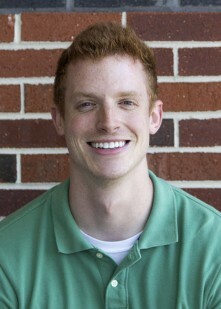 He explores and writes articles about the on and off campus impacts of UNCG research. Kevin is a senior at UNCG, majoring in Communication Studies and minoring in Media Studies. His interest in business, marketing, communication, and media led him to his current position.